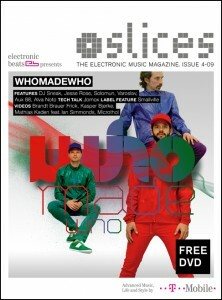 Releases Artists Podcasts Videos Magazine Buy Shirts! 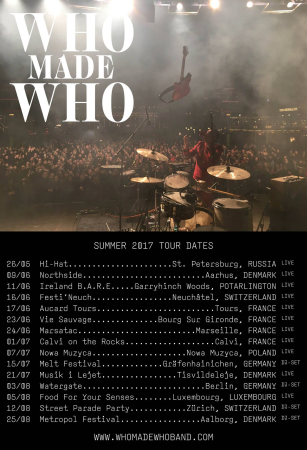 just announced their summer dates. Catch them here..
Gomma honchos WhoMadeWho and Golden Bug are touring South America this week. 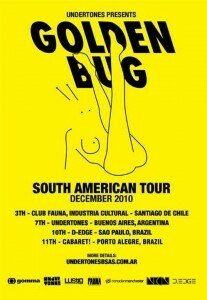 Catch them in Colombia, Brasil, Chile and Argentina. 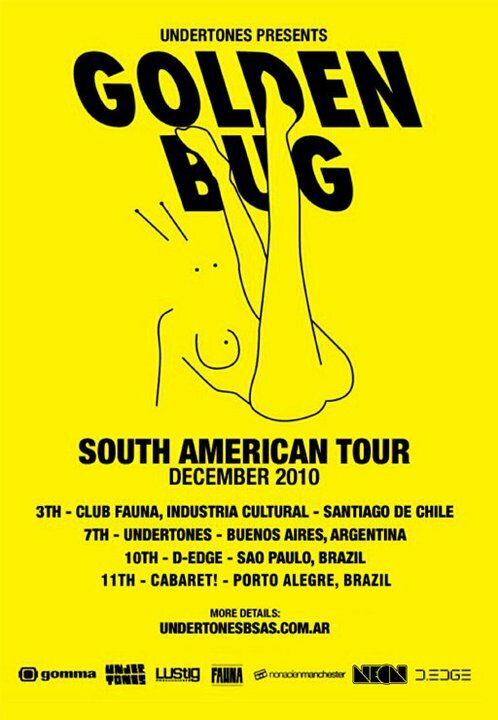 Golden Bug doing his electrofunk live set and WhoMadeWho rocking the stage. Friends of Gomma. 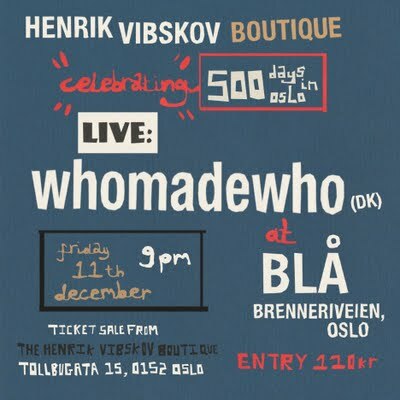 Here is something we never did before: For free we give you a Live recording of a recent WhoMadeWho concert. 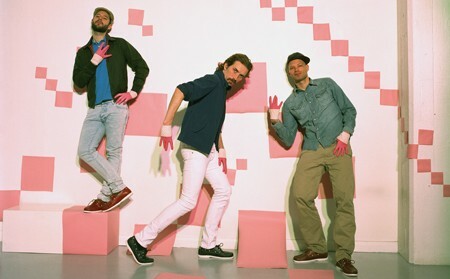 Their infamous gig they did at Germany’s coolest Music Festival: Melt! Festival. 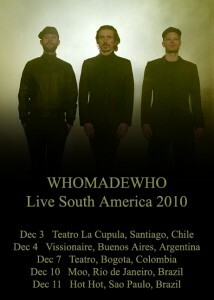 There, WhoMadeWho are already a household name as they play the festival every year. This year, they even composed the “Melt Anthem” called Gigantische Stahlgiganten which will be on the official compilation. 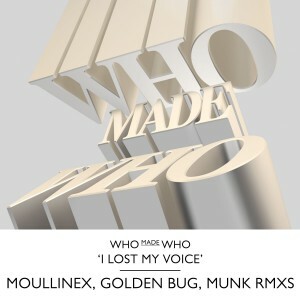 Now check this out: courtesy of Red Bull Music Academy here comes the recording of their live gig at this year’s Melt Festival. Gigantic! iTunes UK has voted and declared the DJ Koze Remix for WhoMadeWho‘s Keep Me In My Plane Remix of the Year in the Electronic genre. The single was release earlier this year on 12″ and digitally.. last copies available!